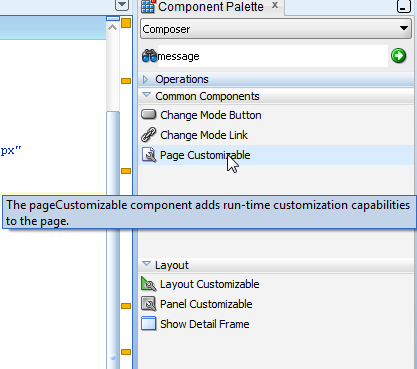 Webcenter provides Out of the box component to create a wrapper (widget) which is movable. Moveable box provides drag and drop features where drag and drop can be done between the moveable boxes. The component used to do this is panelCustomizable. 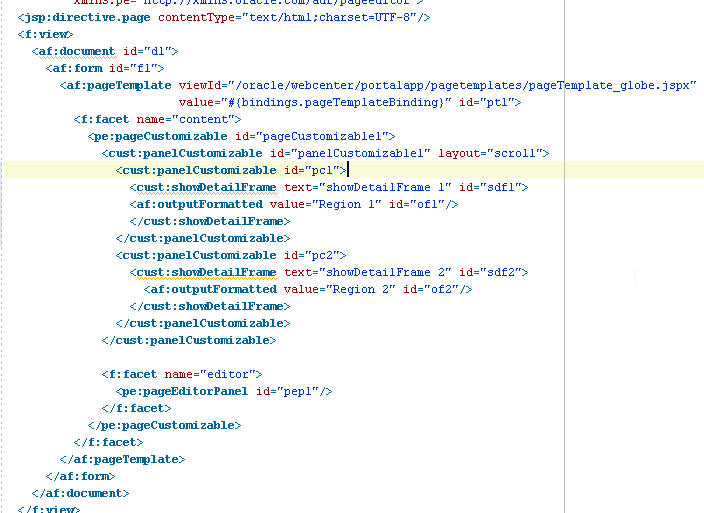 One can use this component in through both Portal Builder as well as Portal Framework Application. 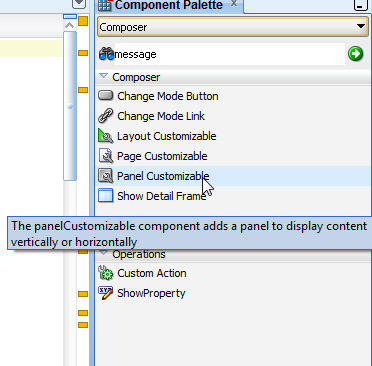 In framework application in Jdeveloper, panelCustomizable can be found in composer option in Components Palette. But in order to make it working, we need page to be customizable. So on the content facet where the main body needs to go in, click on Page Customizable. After clicking on Page Customizable , it will by default add a panelCustomizable component inside it. 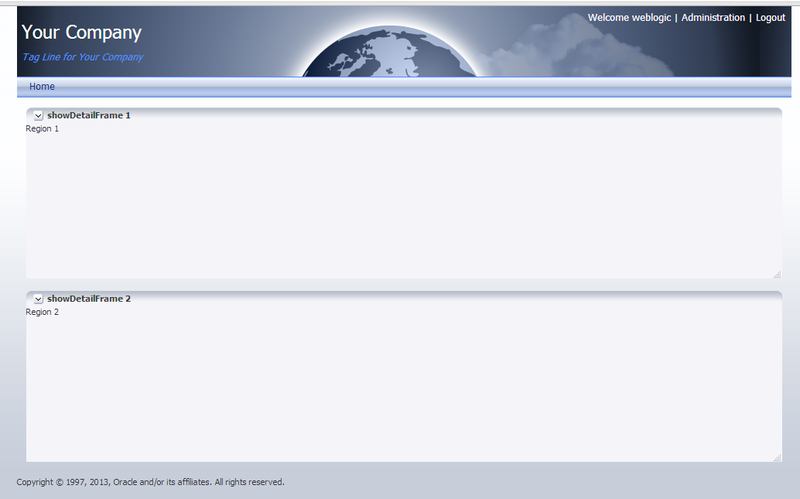 Now panelCustomizable needs a child component which will be holding the content. This component is showDetailFrame (cust:showDetailFrame) which is also available in composer option in components panel. add showDetailFrame and following code. Now run the portal page. Now drag and drop upper box to lower. Thats it. This one is really cool feature and provides Drag n Drop OOTB.